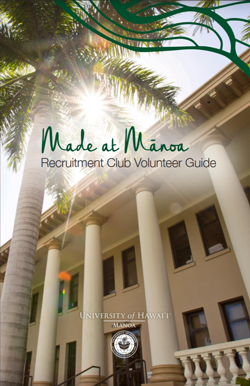 Are you interested in helping UH Mānoa recruitment efforts? Your enthusiasm and first-hand knowledge about the UH Mānoa experience can have a great influence on our prospective students. Join the UH Mānoa Alumni Recruitment Club and help inspire the next generation of UH Mānoa students! 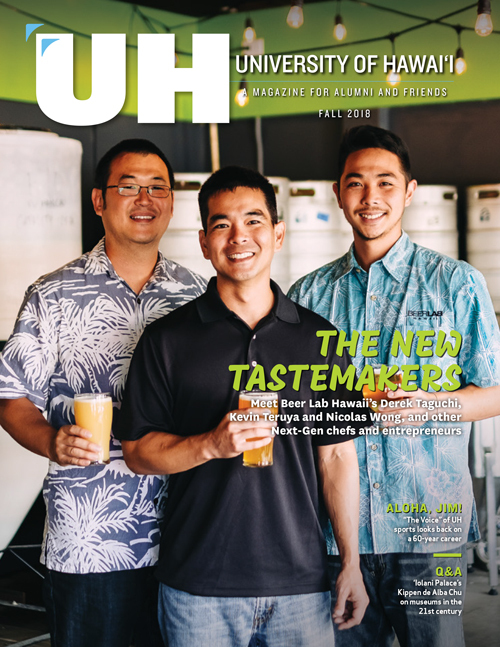 Overseen by the UH Mānoa Office of Admissions along with the UH Mānoa Office of Alumni Relations, the Alumni Recruitment Club is a group of proud alumni from all over the world dedicated to helping recruit prospective UH Mānoa students. To learn more, read the Alumni Recruitment Club Guide. Email us at contact@uhalumni.org or call (808) 956-2586.